Three years and 15 new minerals later, the Carbon Mineral Challenge continues to produce surprises. 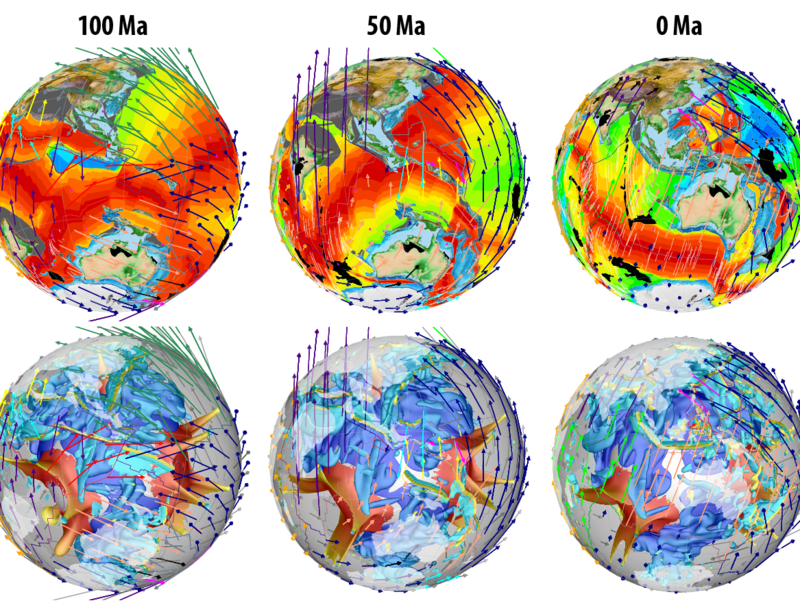 Launched in 2015, the Carbon Mineral Challenge is a quest to find 145 carbon minerals predicted to exist but yet to be discovered. The latest entries are new carbon minerals ramazzoite and paddlewheelite. Both share copper origins, and both are wrapped in intrigue. Paddlewheelite photo by Travis Olds. For starters, ramazzoite is the first imineral with a polyoxometallate cation, a positively charged ion. 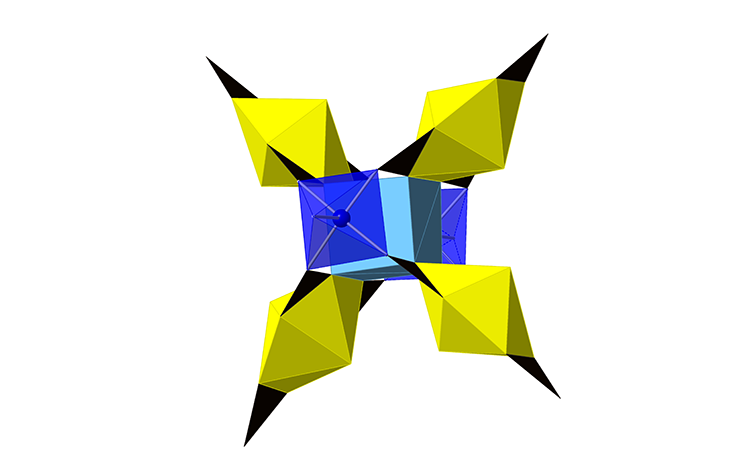 A polyoxometallate contains a cluster of metal atoms bound together by oxygen. 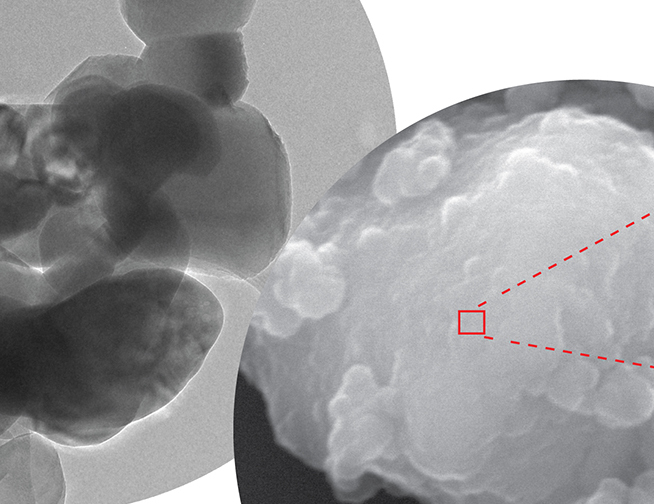 “The really unusual thing is that we know of polyoxometallates because we can produce them in the lab, but a mineral for which the positive ion is a polyoxometalate has never been found in nature before,” noted Carbon Mineral Challenge lead Dan Hummer. "Polyoxometallates have been produced synthetically since they were first discovered in 1826, and there are a few examples of minerals with negatively charged polyoxometalates, but this is the first natural example with a positively charged cluster." 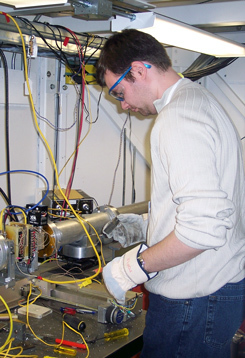 Daniel Hummer (Southern Illinois University) preparing equipment at Stanford Synchrotron Radiation Lightsource, SSRL (in Menlo Park, California, USA). 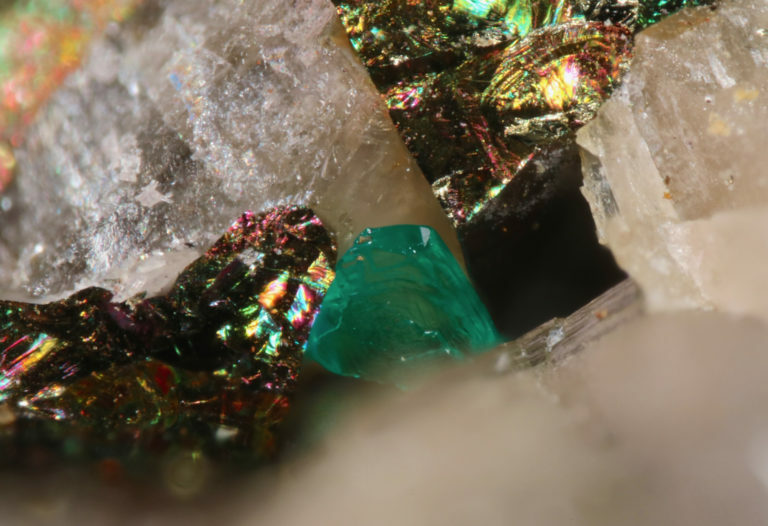 The second surprising thing about ramazzoite is that it has a large variety of anions, or negatively charged groups of atoms. 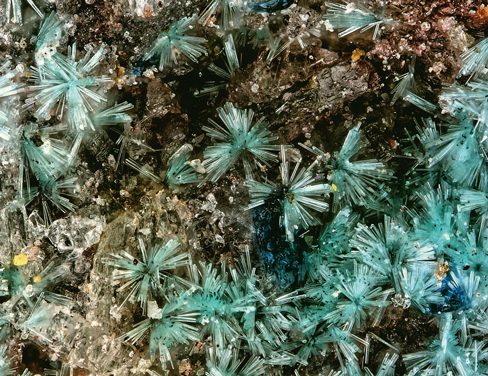 Anthony Kampf of the Los Angeles County Natural History Museum, USA led the ramazzoite research discovery team, which included George R. Rossman, Chi Ma, Donato Belmonte, Cristian Biagioni, Fabrizio Castellaro, and Luigi Chiappino. The original specimen was found in and named after Monte Ramazzo mine in Liguria, Italy. 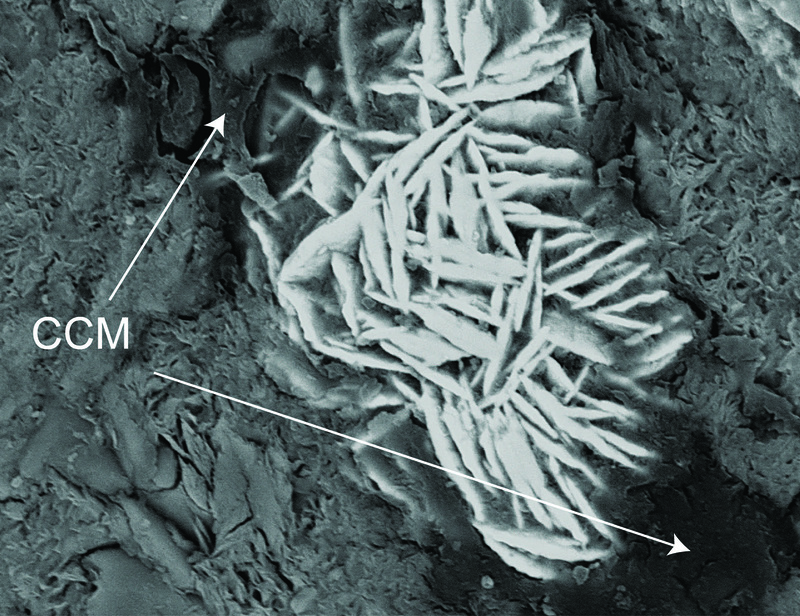 The other recently discovered carbon mineral, paddlewheelelite is unique because of its structure. While most minerals are named after people or locations, paddlewheelite was named for its unusual construction. Atomically, it is comprised of four “paddlewheels” made of three radioactive uranyl clusters, held together by copper axles, much like the paddle of an old-fashioned steamboat. Travis Olds, Washington State University, USA led the paddlewheelite reseach, joined by Jakub Plásil, Anthony R. Kampf, Fabrice Dal Bo, and Peter C. Burns. The additions of ramazzoite and paddlewheelite to the Carbon Mineral Challenge brings the total number of new copper minerals to five.